Mike King – guest presenter at the ETC Awards with Michael Johnson named as the winner of the 2018 ETC Apprentice of the Year. Talent – home grown, proud professionals. What could top off the Apprenticeship Awards held in 2017? The only answer is – the 2018 Awards, as Engineering Taranaki Consortium’s commitment to continue to recognize the talent that Taranaki employer’s sign-up as apprentices, train and nurture. The hard work, determination and hours put in by all Taranaki apprentices across the engineering, refrigeration and electrical trades creates a solid platform for our region’s apprentices and their employers to put themselves up against their peers. Don’t miss out on the opportunity to register your interest in this year’s Apprenticeship Awards by register your interest or ask a question. Be part of the Taranaki region’s legacy of trade training, investing in and growing the talent of our future workforce through apprenticeship training. Taranaki has talent – we need you to stand alongside them! “The apprentices celebrated at the awards are the future leaders of our industry and our region. They can take real pride in the contribution they have made and will continue to make. Pat Hills, Chair of the Engineering Taranaki Consortium. The ETC Engineering & Electrical Apprenticeship Awards mark their fourteenth year in 2018, having recognised the achievements of 463 apprentices over that period. The 2017 event drew fantastic support from the industry and the region, with over 350 attendees, and Jack Christiansen of Vector winning the prestigious Apprentice of the Year Award. The event saw a fantastic level of support from the industry and its many companies, through a high number of nominations, attendance on the night, and the valued sponsorship. Without financial support of the industry, the awards event would not be possible. 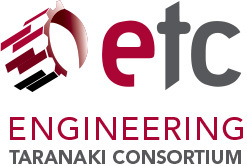 Engineering Taranaki Consortium is the organisation behind this event, and aim to ensure that the achievements of our industries apprentices are recognised for both excellence in their studies and the completion of their qualification. The event also celebrates the value of apprentices, who although take a different pathway from that of university students, have to demonstrate a similar commitment to learning, often in a more challenging workplace environment. Unlike university students. apprentices don’t have a formal graduation ceremony without this awards event. Apprentices are the future backbone of the regions workforce. Raising the profile for engineering and electrical trades as an important and rewarding career pathway is also fundamental to the thinking around this event. Therefore these awards encompass recognition of apprentices throughout their journey by highlighting trade apprenticeships as an alternative to the university pathway we strive to achieve. A shift in the choices being made from their education to employment pathways will deliver a strong future for Taranakrs engineering and electrical businesses and the industry as a whole.